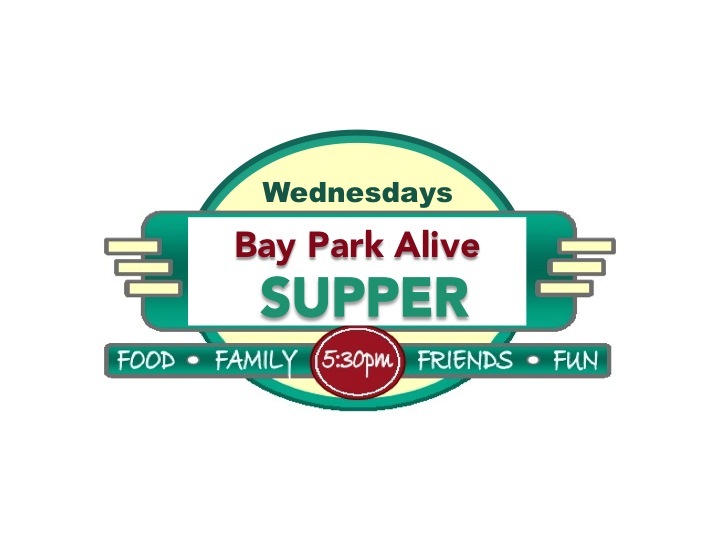 We meet every Wednesday night from 5:30 – 6:30pm for a Bay Park Family supper. Supper is $5 per person, $20 per family. Children under 2 are free.